Widus Hotel and Casino, which is located inside this Freeport, is set to open its P2 billion expansion project in the last quarter of the year. Alfred Reyes, general manager of the Widus Hotel and Casino, said the project is nearing completion where the new lobby and casino will make the hotel different from the hotels inside and outside the Freeport. “Widus Hotel & Casino is currently undertaking expansion efforts, with the grand lobby slated to open on October this year,” Reyes said. For the meantime, he said the expansion includes only the new lobby and casino, and hoping that the phase three will be constructed soon to add more rooms for the hotel. He said that they are expecting to negotiate soon for the third phase of their expansion with Clark Development Corporation (CDC) that will include another area near the present hotel. At present, the tower 1 and 2 have a total bedroom capacity of 500. With the proposed tower 3 , including water theme park, Widus Resort and Casino will have a total of 800 rooms. With the expansion, Reyes said, the workforce is also expected to increase to more than 500 once expansion fully operationalized. The Korean-owned tourism project, which has been rated a deluxe class hotel by the Department of Tourism, is expected to get a higher rating once the multi-billion-peso expansion is fully realized. Widus Hotel and Casino, owned and chaired by a Korean investor Daesik Hans, was established and opened in 2007. 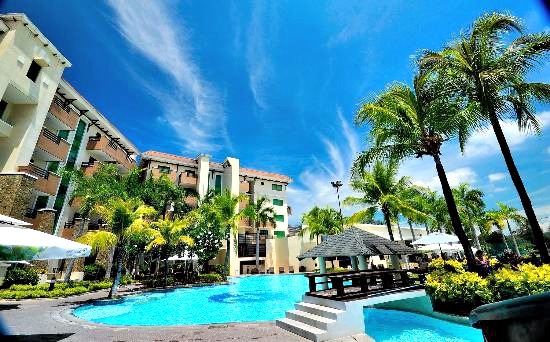 It is one of the aggressive hotels inside the Freeport and has one of the lowest rates in hotel accommodation compared with its competitors inside and outside Clark. Recently, the prestigious travel website TripAdvisor.com has adjudged Widus as one of the top 13 luxury hotels and top 25 hotels in the Philippines for 2013.